Cheap-Chic Decor: What Are Reed Diffusers? Reed diffusers are vessels filled with fragrant oil and reeds to bring a scent into a space. Reed diffusers use natural reeds to draw a fragrance into the air. They are simple to use. First, fragrance oil is placed in a container. Reeds are then placed into the container to pull the fragrance oil through the reeds. This slowly releases the aroma into the room. Create a spa-like feel in any room with a reed diffuser. Use for aromatherapy in your bath or bedroom. 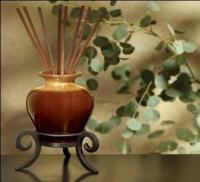 Create a tranquil feel in your family room or living room with a reed diffuser. There is no flame in a reed diffuser, so they are a great alternative for places where candles are not permitted. They are perfect to use in offices or dorms. Reed diffusers are decorative as well as functional. 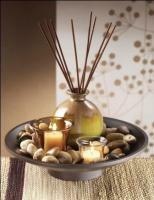 They will add a fragrant, warm, and relaxing element to any space. 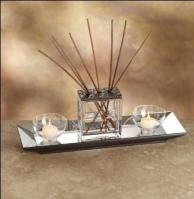 For more details and a wide selection of reed diffusers visit http://www.cheapchicdecor.com/.